Kelly's Cobbler Suede Dye - 4 oz. will not rub-off, crack, or peel. Tarrago Color Dye - 0.8 oz. 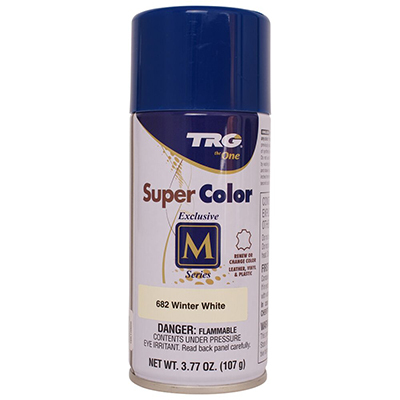 TRG Color Spray Paint -3.7 oz. For leather, canvas and synthetic leather. Not suitable for suede, Nubuck and similar leathers. Changes the color, even white on black. Repairs scratches and wasted toes. Restores the color. It doesn't require further finishes. 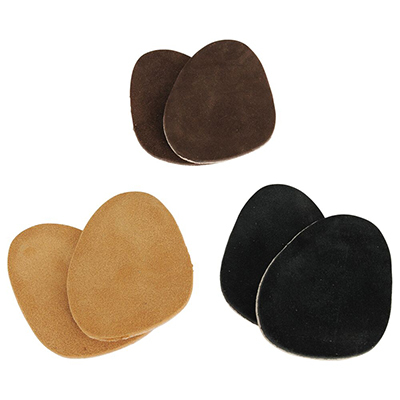 Great for shoes, boots, belts, purses, wallets, handbags, crafts or any other leather goods. Box containing a .85 oz. / 25 ml. bottle with Self Shine Color Dye, a .85 oz. / 25 ml. bottle with Preparer, a paintbrush, an applicator sponge and directions leaflet. Bring back the vibrant color to your old pair of shoes. Use TRG Color Spray. It works on leather, vinyl, or plastic. Once applied, the color is natural looking, flake free, and won't peel or rub off. 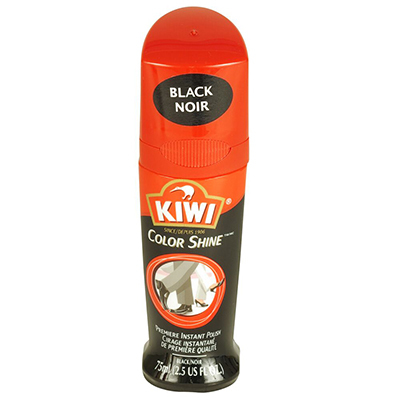 Color Spray Designed to permanently renew or change color of leather, vinyl, or plastic. Perfect for shoes, handbags, belts, or luggage. Comes in a 3.7 oz Can. TRG Color Spray Paint can be used to enhance or change the color of smooth leather, plastic and vinyl. Specially formulated top-coat spray paint. Available in over 40 colors. Bring back the vibrant color to your old pair of shoes. It works on leather, vinyl, or plastic. Once applied, the color is natural looking, flake free, and won't peel or rub off. 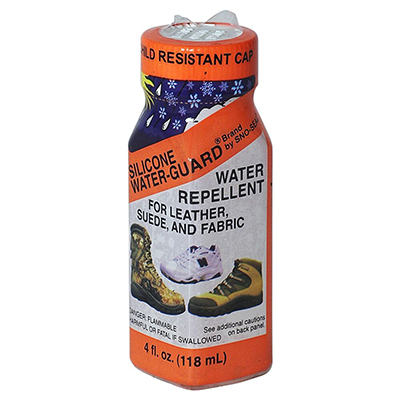 Color Spray Designed to permanently renew or change color of leather, vinyl, or plastic. Perfect for shoes, handbags, belts, or luggage. Comes in a 12 ounce Can. 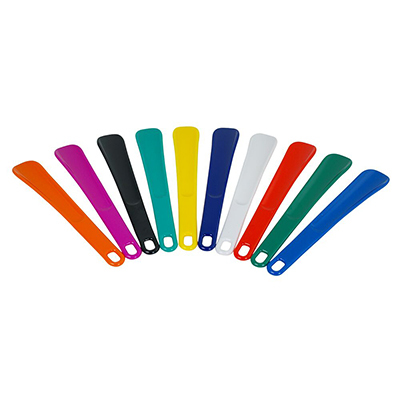 Kelly's Color Spray Paint can be used to enhance or change the color of smooth leather, plastic and vinyl. Specially formulated top-coat spray paint. Available in over 4 colors. Meltonian Nu-Life Color Spray Paint - 4.5 oz. TRG Color Spray Paint Large - 10 oz. M&B Brillo Color Spray is a great spray dye for any kinds of leather, vinyl or plastic. They are good for re-dying the same color or changing to a different color. 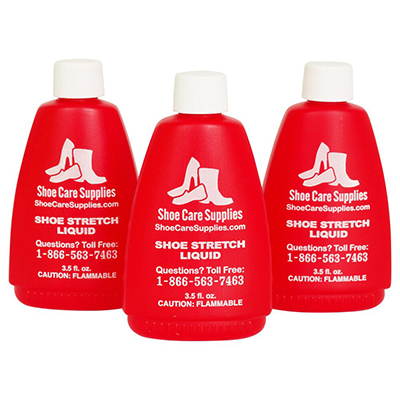 Permanent shoe color sprays are available in many colors. Will not rub off. Repels water, soil and stains. New and improved formulation! One can is usually good for 1 pair of shoes, boots may require 2 cans. It is very important to clean articles to be sprayed so that the dye will adhere to the material. Even new shoes have to be cleaned. 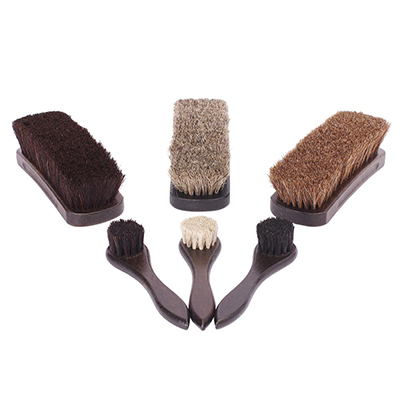 We recommend Fiebings Deglazer for cleaning shoes and boots. Meltonian Nu-Life Color Spray Paint can be used to enhance or change the color of smooth leather, plastic and vinyl. Specially formulated top-coat spray paint. Available in over 40 colors. IMPORTANT NOTE: Before spraying, use Nu-Life Preparer to clean the articles to be painted. Meltonian has stopped making the spray paints in March 2016. We have a limited amount left. 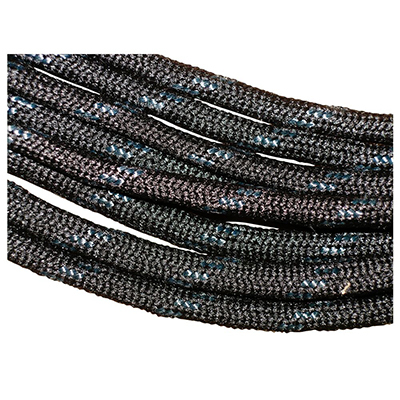 There is another product we carry that has all the older colors that are no longer being made as well as the same colors Meltonian still makes. Please click the MB color Spray link below. TRG Color Spray Paint can be used to enhance or change the color of smooth leather, plastic and vinyl. Specially formulated top-coat spray paint. Tarrago Metallic Color Dye - 0.8 oz. Moneysworth & Best Suede Renew Dye - 5.6 oz. 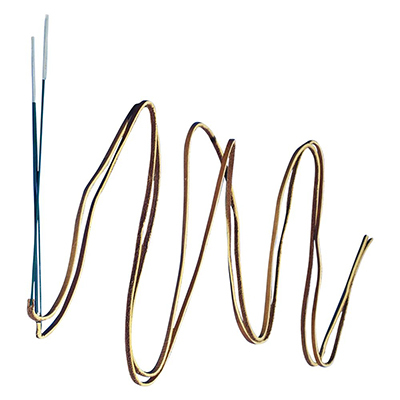 Tarrago Metallic Color Dye. 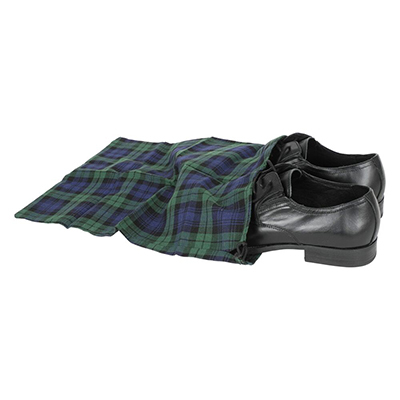 If your shoes, pocketbooks, or other leather, canvas or imitation leather items are looking old and worn out, bring them back to life with Tarrago Color Dye. Repels water. Does not crack or chip. 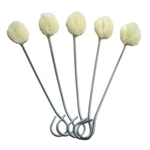 Includes dye, preparer, sponge and brush. Not for use on Suede or Nubuck. Available in many metallic colors. Moneysworth & Best Suede Renew freshens the color of suede and nubuck shoes, boots, handbags, jackets, etc. 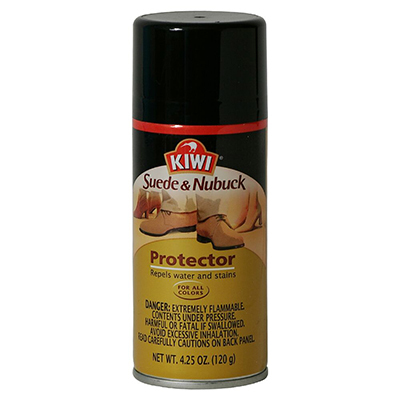 Preserves leather against water and stains. This is an aerosol spray dye that will put color back into suede. It is not recommended for use to change suede to a different color. Available in: Black, Brown, Burgundy, Grey, Navy Blue and Tan. Tarrago Suede Dye - 1.7 oz. 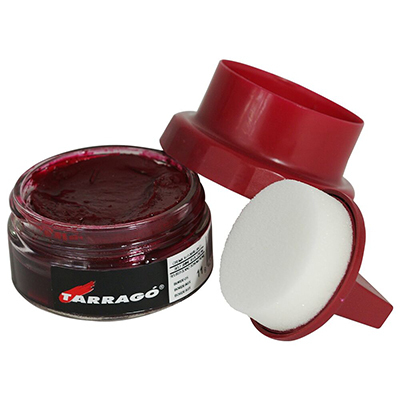 Tarrago Color Dye with Matching Shoe Cream Polish. Tarrago Metallic Color Dye with Matching Shoe Cream Polish. Tarrago Suede Dye for suede, nubuck, split, synthetic suede and similar leather. Use it to dye shoes, boots and much more. Colorfast - will not bleed, fade, or rub off once dry. Applicator brush included. You should only use this product to change from a light to a dark color. Available in Black and Dark Brown. Angelus Acrylic Leather Paints are the premier paints on the market with vibrant, long-lasting colors. 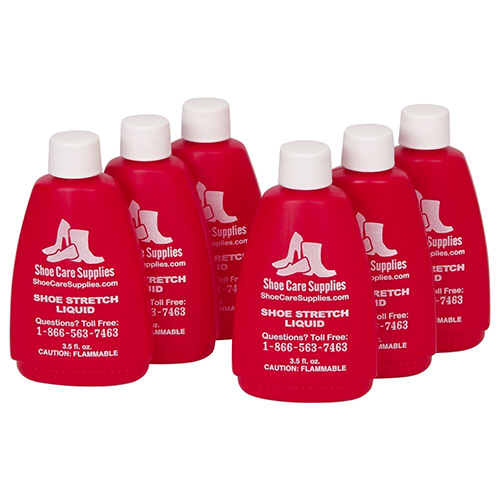 These acrylic leather paints will not crack or peel and are water-based for easy clean-up. The colors are mixable for countless custom colors. 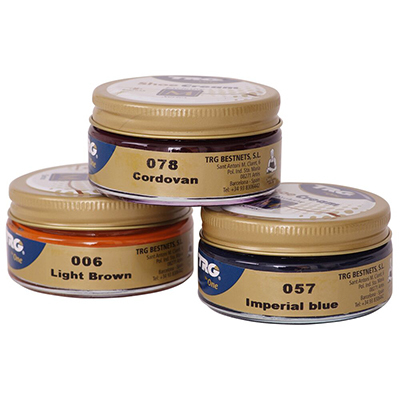 The Angelus Acrylic Leather Paints are great for crafts and projects and have great adhesion to anything permeable. 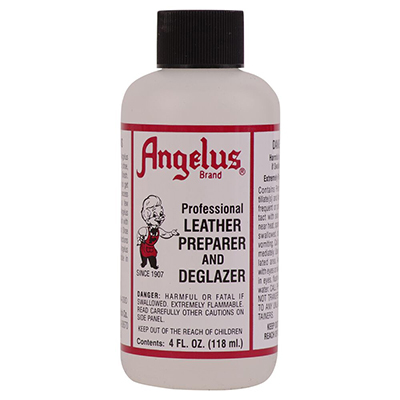 The Angelus Acrylic Leather Paints have high flexibility so they don't crack and these paints work on many materials such as leather, patent leather, vinyl, midsoles, tabs and more. Ideal for Angelus Acrylic Paints. Made from synthetic fibers, Angelus Paint Brushes perform exceptionally well when paired with Angelus Acrylic Paints. The numerous soft fibers allow for longer, more satisfying strokes with minimal brush strokes left behind. 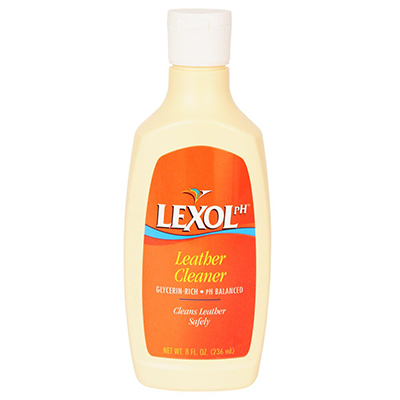 Prepares leather for dyeing by removing all previous shades and coatings. Available in 100 ml bottle only. Esquire is no longer being made. This is why you may see some colors on the chart, but not on the drop down menu for ordering. Moneysworth & Best Suede Renew freshens the color of suede and nubuck shoes, boots, handbags, jackets, etc. Preserves leather against water and stains. This is an aerosol spray dye that will put color back into suede. 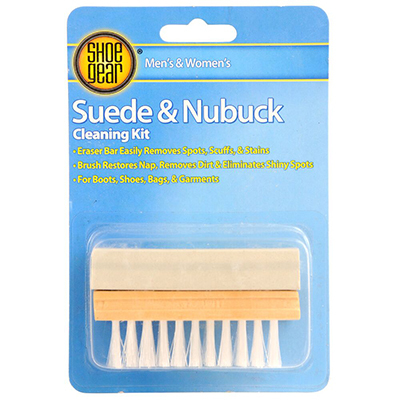 It is not recommended for use to change suede to a different color. Available in: Black, Brown, and Tan. Kelly's Cobbler Leather Dye - 4 oz. Angelus Leather Dye - 3 oz. 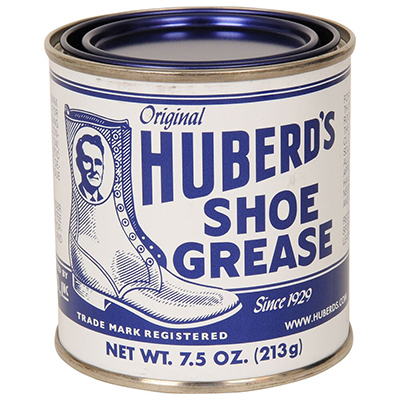 Use Kelly's Cobbler Leather Dye to change the color of leather shoes, boots, purses, etc, or restore color to worn, discolored leather to a bright, lustrous finish. Includes a brush for easy application. We highly recommend using Kelly's Dry Cleaner before applying the leather dye, to remove dirt and build-up on the object being dyed. 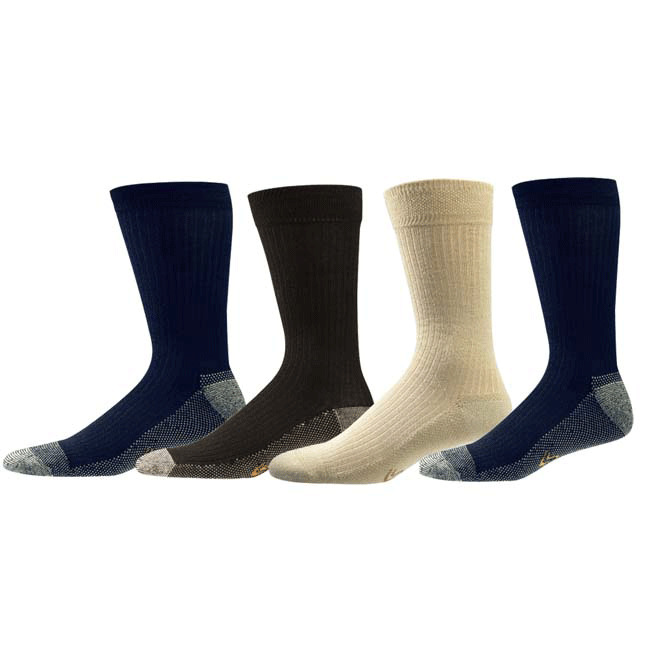 Available in 5 colors: Black, Cordovan, Dark Brown, Medium Brown and Navy Blue. 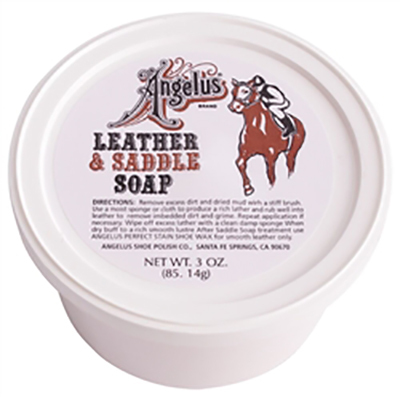 Angleus Leather Dye is a liquid dye that can be used on all smooth leathers. The lasting color will not crack, peel, or wash away. 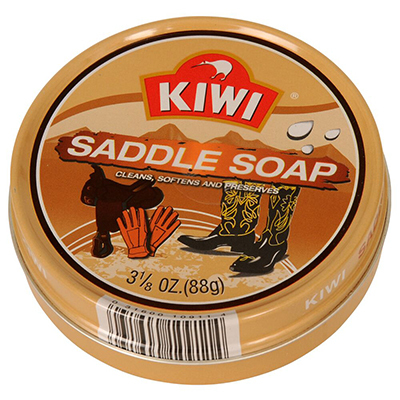 Great for shoes, boots, belts, purses, saddles, tack and a lot more. Dauber applicator included. Available in over 40 colors. Fiebing's Leather Dye is the most recognized penetrating, alcohol-based leather dye in the world. Dries uniformly and mixes easily to create interesting middle tones. Each 4 ounce bottle includes one wool dauber. Available in: Aqua Green, Beige, Black, British Tan, Buckskin, Burgundy, Chocolate, Cordovan, Dark Brown, Dark Red, Green, Kelly Green, Light Blue, Light Brown, Light Tan, Mahogany, Maroon, Medium Brown, Navy Blue, Orange, Oxblood, Purple, Red, Russet, Tan, Turquoise, USMC Black and Yellow. Fiebing's Tan Kote - 4 oz. 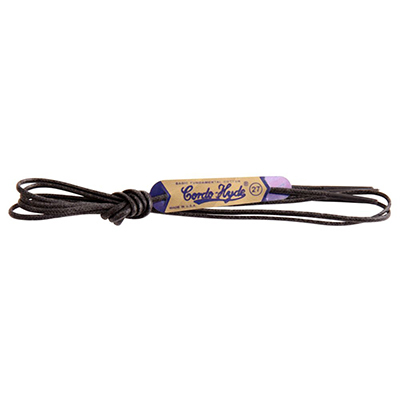 Kiwi Leather Dye - Black - 2.5 oz. Fiebing's Oil Dye - 4 oz. 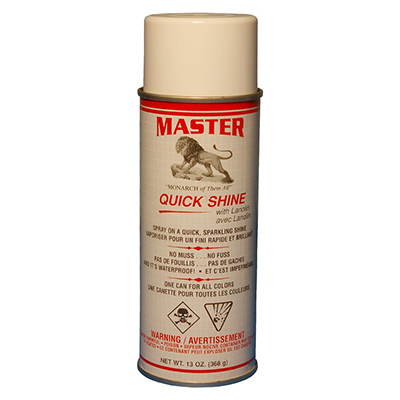 A resin based formula used by belt and saddle makers for an easy to use top finish. May be sponged or sprayed. Easy application on all leather goods for a protective, moisture-resistant finish.Tan Kote leaves a soft, mellow satin finish. 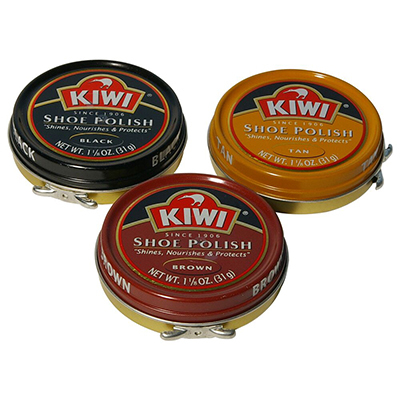 Kiwi Black Leather Dye restores the color and finish to worn leather shoes and boots before polishing. Long lasting and water resistant. 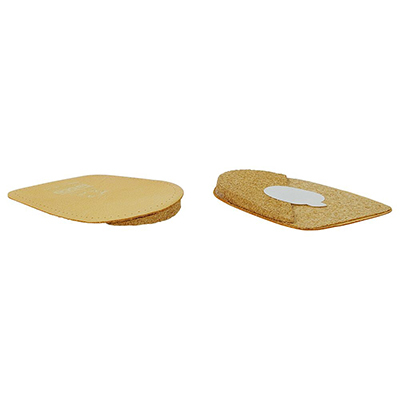 Built-in sponge applicator top for easy application. Not for use on suede or fabric. Fiebing's Professional Oil Dye is an alcohol-based dye created specifically for natural strap leather, vegetable tanned leather, and bag & case leather. Provides excellent coverage and superior colorfastness. Available in: Black, Chocolate, Dark Brown, Dark Chocolate, Golden Brown, Green, Light Brown, Mahogany, Red, Royal Blue, Saddle Tan, Show Brown, Spanish Brown, Walnut and Yellow. 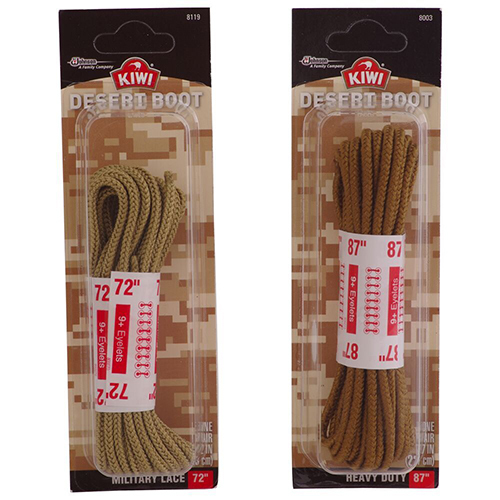 Kiwi Heel & Edge Color - 2.5 oz. 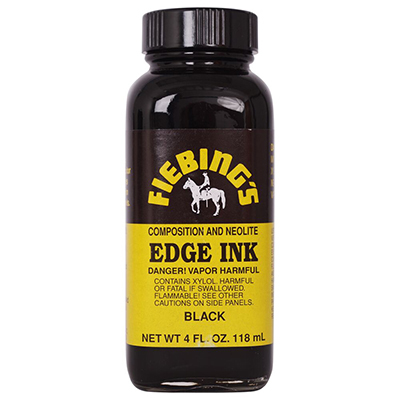 Fiebing's Edge Ink Composition & Neolite - 4 oz. 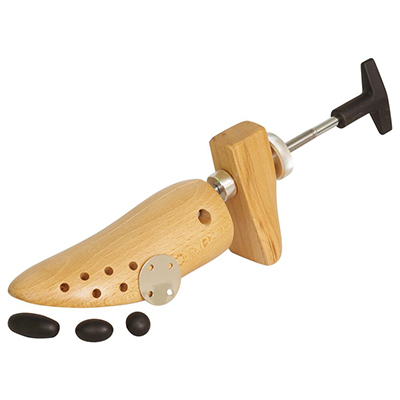 Kelly’s Lynn Cobbler Sole and Heel Dressing is a dressing for leather heel and sole edges for use after polishing. Kelly’s Lynn Cobbler Sole and Heel Dressing will dry bright. 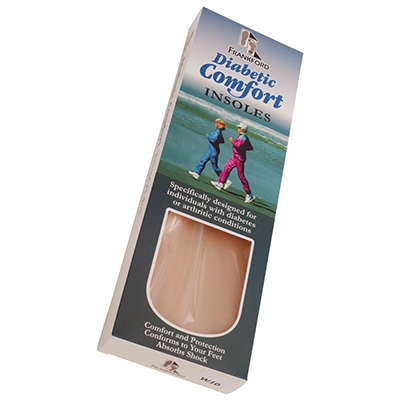 Kelly’s Lynn Cobbler Sole and Heel Dressing is available in a 4 oz. 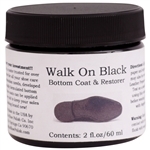 Bottle and comes in Black Kiwi Heel & Edge renews the finish on shoe and boot heels and soles. Water resistant. 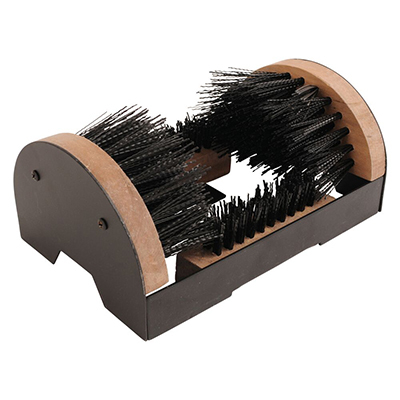 Easy, built-in sponge applicator. Color: Black. Fiebing's Edge Ink Composition and Neolite provides a long-lasting, high-gloss finish to the edges of man-made soles and heels. 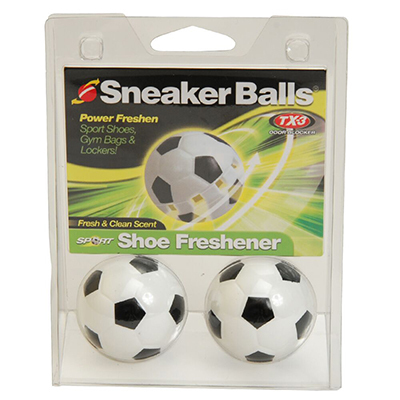 Built-in dauber for easy application. Comes in Black and Brown. The alcohol-based "Teinture Francaise" dye has been developed for application on leather with a minimum degree of porosity. Only to be used to darken a light color shade. You can compose your own colors and all the dyes are miscible. 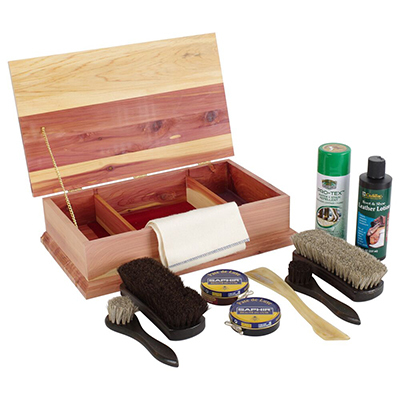 Leather Luster Kit gives leather or vinyl a brilliant patent leather finish. 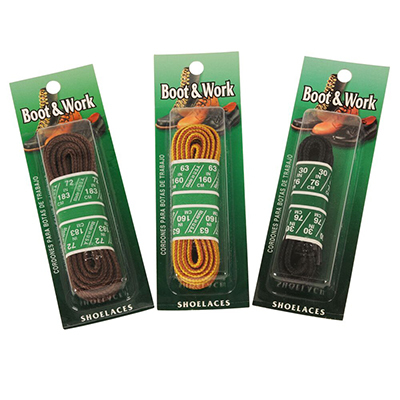 Use on gun belts, shoes and boots, even car nose covers (bras). Wipes clean with a damp cloth. Will not scuff or scratch. Color: Black. 1 - Steel Wool Pad Fiebing's Deglazer prepares smooth leathers for dying and refinishing. Strips smooth leather of existing finish. Will not impair leather softness or flexibility. Not recommended for man-made leathers. Fiebing's Dye Prep- 4 oz. 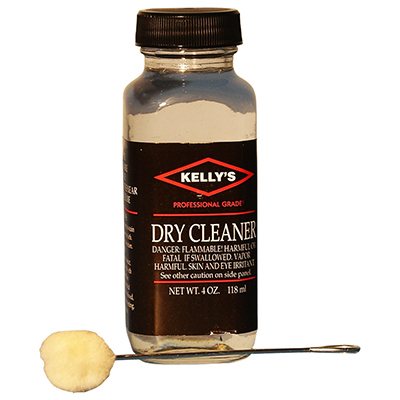 Kelly's Dry Cleaner - 4 oz. 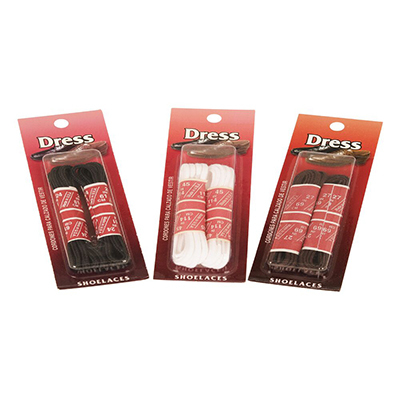 Angelus Roll Call Military Grade Edge Dressing - 4 oz. Fiebing's Dye prep prepares smooth leathers for dying and refinishing. Strips smooth leather of existing finish. Will not impair leather softness or flexibility. Not recommended for man-made leathers. 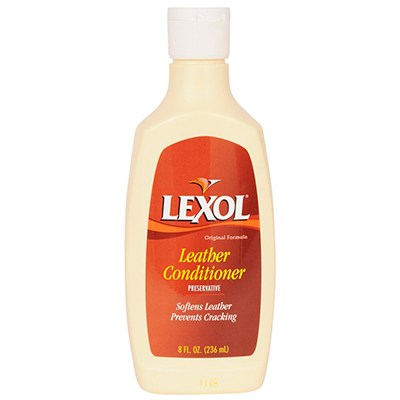 A specially formulated cleaner to prepares leather for dyeing. Removes dirt, grime, and other light tannery finishes. Kelly's Dry Cleaner is a professional-grade spot and stain remover. 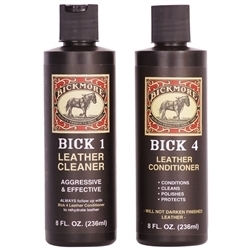 Cleans soil and grease from leather and delicate fabrics. 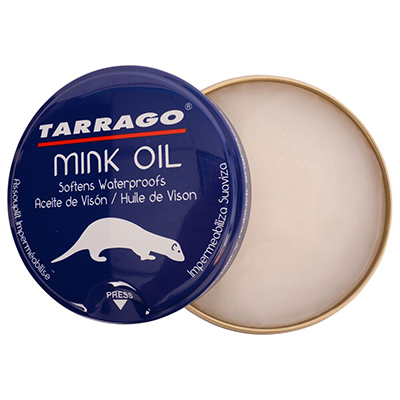 Use on shoes, boots, handbags and other accessories. Includes a handy applicator. As with all cleaning products, we recommend you apply a small amount to an inconspicuous area to test for staining or discoloration. Angelus Roll Call Military Grade Edge Dressing renews the original finish on heels and soles. Helps protect and waterproof. Provides a gloss finish that won't rub off when wet. 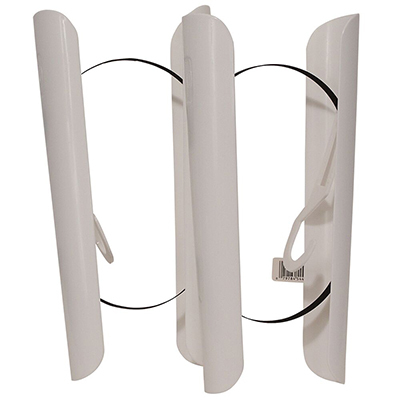 It is designed for high-gloss, military-type inspections. A built in Wool dauber is attached to the cap for easy application. Available in Black. Tarrago Nubuck Color - 2.5 oz. 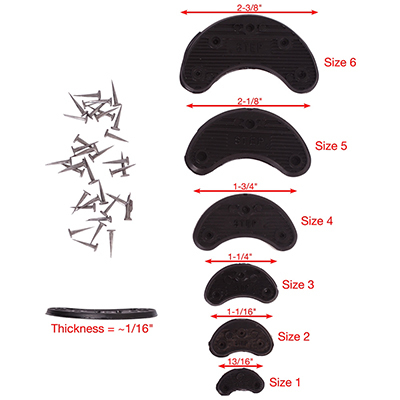 Fiebing's Sole Edge & Heel Polish - 0.6 oz. 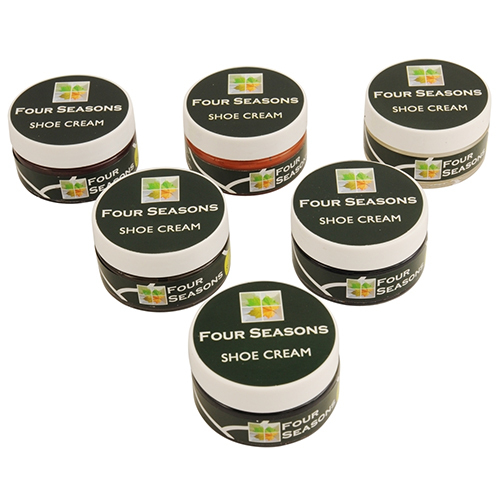 Fiebing's Sole Edge & Heel Polish restores and polishes scuffed heels and soles neatly and easily. 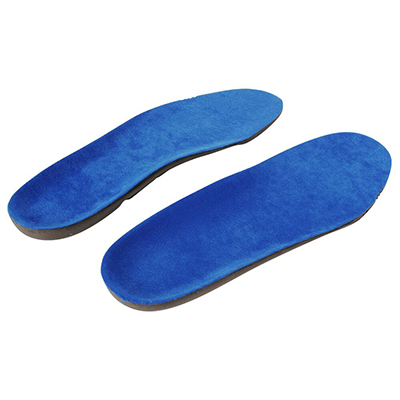 Can be used on leather and rubber soles and heels. Easy roll-on applicator. Dries bright and water tight. Available in Black & Brown. Fiebing's Edge Kote - 4 oz. 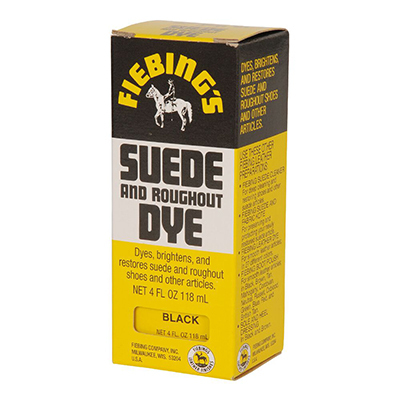 Fiebing's Edge Dye - 4 oz. Fiebing's Edge Kote is a flexible, water resistant surface coating for smooth leather edges. Dries to a bright finish. 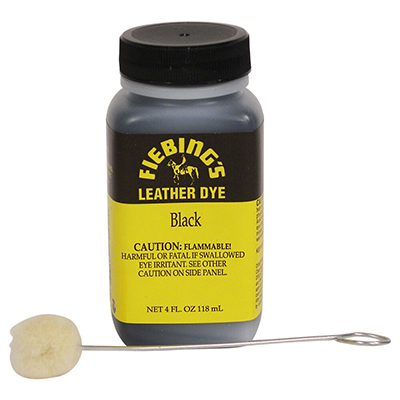 Available in, Brown,Mahogany and Tan Fiebing's Edge Dye is a permanent dye for coloring all leather edges. Use anywhere you want a high luster. Penetrates deeply, while imparting a high surface opacity. May be burnished with wax or natural ink. Available in Brown. Kelly's Professional Grade Cork Renew protects, seals and waterproofs any cork surface. 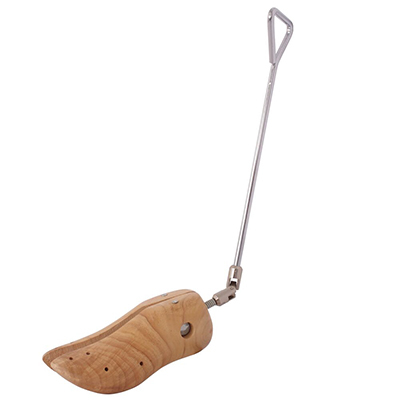 The non-toxic formula seals cork bed sandals, and prevents them from cracking and flaking. Dries clear. Comes with easy-to-use brush applicator. 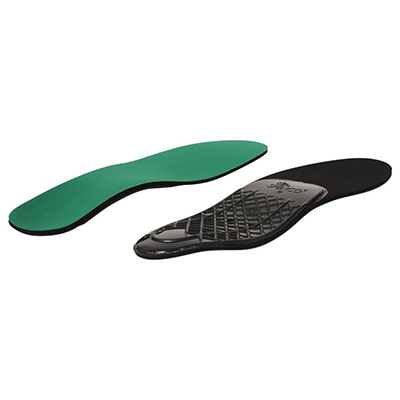 Griffin Heel & Sole Renew - 2.5 oz. Griffin Leather Dye - 2.5 oz. Fiebing's Acrylic Antique Leather Stain water-based acrylic finish is used for emphasizing carving and embossing on natural leather. Easy to use, simply apply in a circular motion and wipe off excess. Dries quickly. 4 oz. Available in: Black, Dark Brown, Mahogany, Medium Brown and Tan. 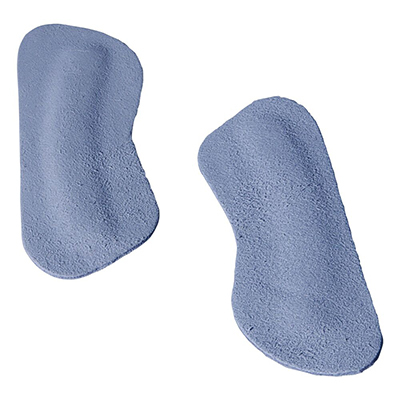 Griffin Heel & Sole Renew restores color to the heels and soles of shoes. 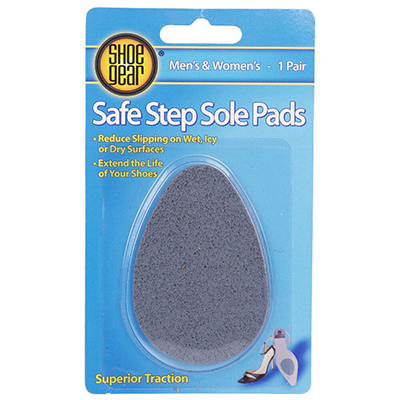 The built-in sponge applicator makes it easy to apply. Can be used on leather. Not for use on suede or nubuck. Available in Black. Griffin Leather Dye restores color to shoes and boots before polishing. 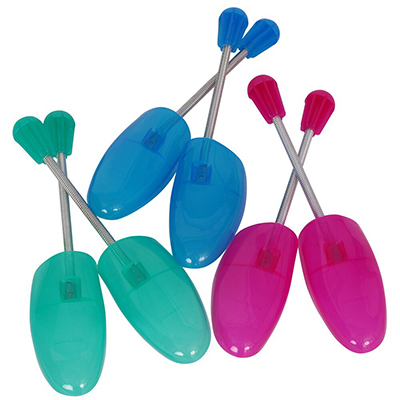 Sponge applicator top makes it very easy to apply, and mess-free. Not for use on suede or nubuck. Made in USA. Fiebing's Acrylic Resolene to Protect Leather Finish - 4 oz. Angelus Glitterlites Flexible Glittercoat is a Glitter Paint for leather shoes, boots, handbags, belts, etc. Add sparkle and glitz to leather articles for special occasions, proms, weddings, crafts, etc. The glitter paint is flexible, making it ideal for leather jackets and handbags. Made in USA. TRG the One Satin Dye is perfect for dying Satin shoes and purses. The color is water repellent, so it won't bleed in the rain. Great for wedding and special occasion shoes. Easy to apply. Applicator sponge and brush are included. 0.8 oz. See color chart. Available in: Brilliant Silver, Cerise/Pink, Daphne Blue, Deep Purple, Ivory, Light Red and White. Fiebing's Acrylic Resolene is a flexible, durable surface coating that protects dyed, antiqued and polished leathers. 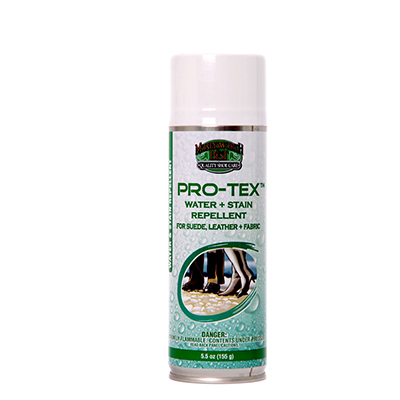 Provides a water-repellent coat to prevent water damage. 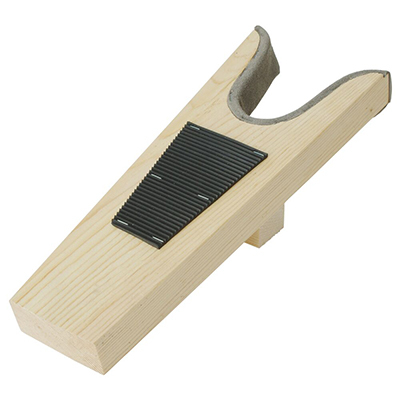 Perfect for use after dying shoes, boots, etc. with Fiebing's Leather Dye. Dries to a mellow gloss. Fiebings Bag Kote Neutral 4oz. Fiebing's Leather Sole & Heel Edge Dressing restores color to the heel and sole of shoes. 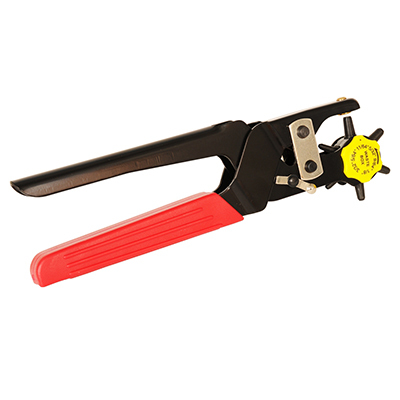 Built-in applicator makes it easy to apply. 4 oz. Available in Black and Brown. Fiebing’s Dura Edge is a flexible and highly durable finish that will result in a professional edge every time. No need for burnishing, buffing or other labor intensive processes to get the edge you always desired. Fiebing’s Dura Edge dries bright, hard and will not rub off. 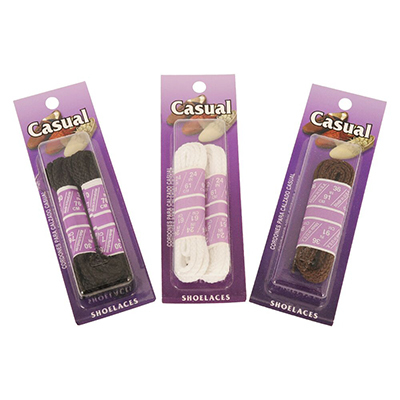 The convenient wool dauber attached to the cap allows for easy application with minimal mess. Fiebing’s Dura Edge is packaged in an 8 ounce bottle and is available in Black and Brown. Preferred by saddle makers, Bag Kote will give a soft, satin finish no other product can achieve. Fiebing's Bag Kote was originally developed by John Fiebing and remains unchanged to this day. Only comes in Neutral. LEATHERCOLORS™ is a low VOC leather dye formulation that works as easily and effectively as traditional penetrating leather dyes. By emitting less Volatile Organic Compounds (VOCs) into the air LEATHERCOLORS™ is better for the environment and complies with CA VOC regulation title 17CCR94507-94517 that limits VOCs in certain consumer products. LEATHERCOLORS™ is available in 12 vibrant colors that can be used on shoes, boots, saddles and all of your favorite Leathercraft projects. 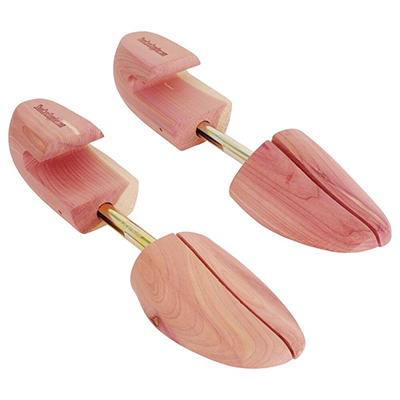 Angelus Sole and Heel Dressing is an edge finish for shoes and boots that dries to a gloss. No buffing required. 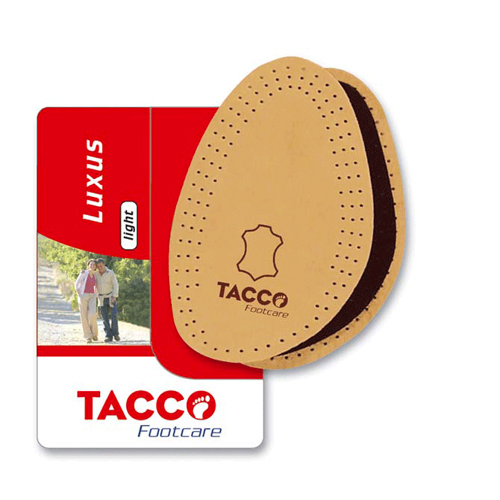 Covers scrapes and marks accumulated on a sole or heel. 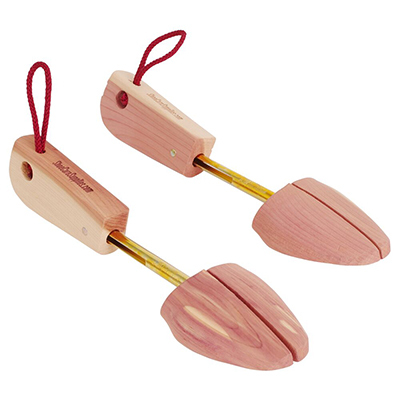 Not intended for use on wood clogs. When dry, will not rub off. Original finisher. Semi to high gloss top finish for use on all smooth leathers. 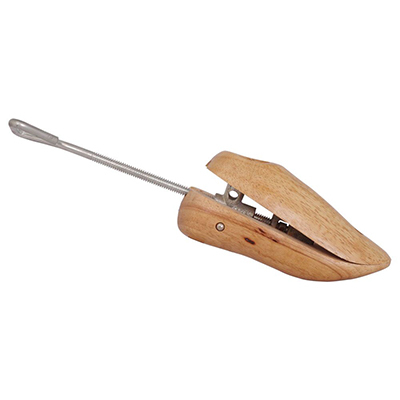 Excellent for both hand crafted work and high speed production. Just apply with a sponge, rag, wool, spray gun, or brush and let dry. No buffing needed. Water-based product cleans up with soap and water. Water resistant. Will not rub off, crack, peel, or streak. Great when used over different finishes where a uniform finish is desired. 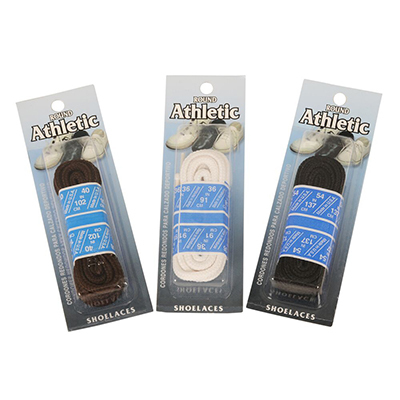 Flexible enough for belts, shoes, handbags, saddlery/tack, and upholstery. Angelus Acrylic Finisher is used on all smooth leathers. 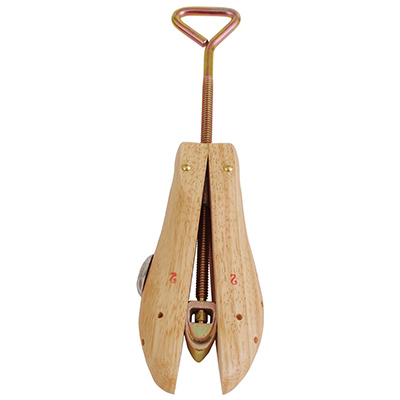 It is excellent for hand crafted work or high speed production. Just apply with a sponge, rag, sheep's wool, or spray gun, and let dry. No buffing is needed. This water-based product cleans up with soap and water. When dry, the Acrylic Finisher is water-resistant, and will not rub off, crack, or streak. It is flexible enough for shoes, belts, handbags, luggage, saddlery, and tack equipment. It can also be used on gourds or anything needing a clear finish. 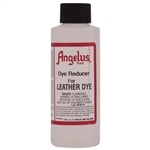 Angelus Leather Dye Reducer/Solvent is formulated for use with Angelus Leather Dye for diluting, mixing colors, and cleaning. By using a combination of Angelus Leather Dye colors with Angelus Leather Dye Reducer, an infinite amount of colors can be achieved. 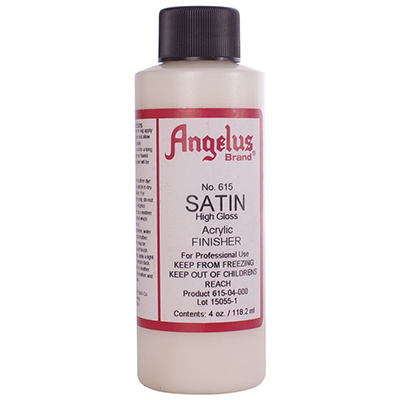 Add Angelus Leather Dye sparingly until the desired color is obtained. SOME SETTLING ISSUES MAY OCCUR AT BOTTOM OF BOTTLE WITH MATTE. TAKE A STIRRER STICK AND STIR IT LOOSE AND SHAKE. Angelus Dye Liner is a great tool for fine dying. 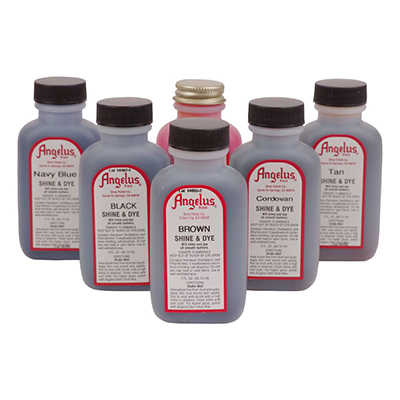 Fill the fine tip or broad tip Dyeliner with your favorite Angelus Leather Dye. Great for detailed dye work. Use over and over again. Just refill with the same dye. Similar uses as #610 but with a softer gloss. Better to use on more rigid items. This is a harder finish. May crack/fracture on soft surfaces. Similar uses as #600 but with a higher gloss. Better to use on more rigid items. The higher the gloss, the harder the finish. May crack/fracture on soft surfaces. Professional grade solvent preferred by some who require a longer drying/working time. Professional grade spot remover for leather, wool, vinyl, clothing, etc. 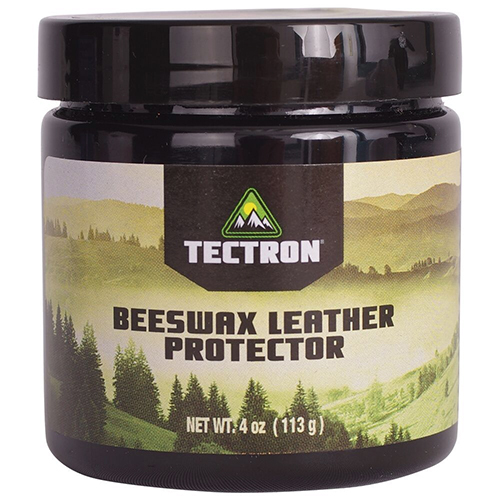 Ideal for preparing a leather surface for re-dying and finishing. Also excellent for removing dirt and grease from carpets and upholstery. Use care on synthetics. As with all cleaners, test on a small unseen area before regular use. A variation of our #800 Dry Cleaner sold for many decades to our manufacturing customers. Fiebing's Acrylic Resolene is a flexible, durable surface coating that protects dyed, antiqued and polished leathers. 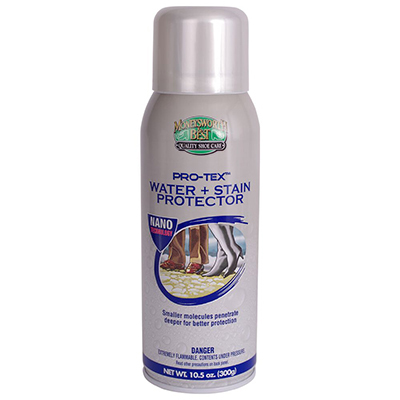 Provides a water-repellent coat to prevent water damage. 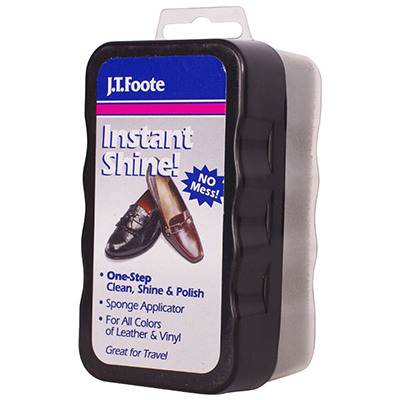 Perfect for use after dying shoes, boots, etc. with Fiebing's Leather Dye. Dries to a mellow gloss. 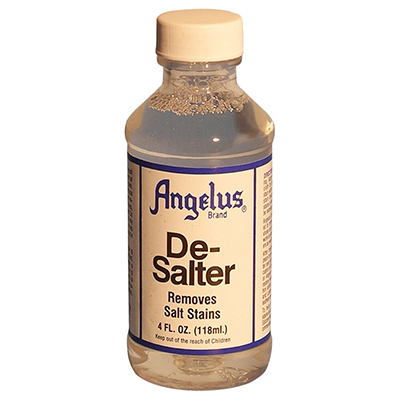 This is used for Angelus Leather Acrylic Paint to be mixed so that it may dull the finish. Some people do not want the shiny gloss so you mix the paint with a 5% mixture of duller. A little goes a long way! Make sure you stick to a 5% ratio. 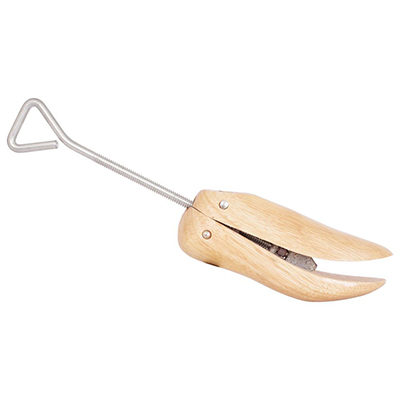 You can also mix the duller into our finishers to make them duller as well. Do you need to paint plastic or other hard surfaces? Then Angelus 2-Hard is the perfect item for you! When mixed with Angelus Acrylic Paints, this product will allow the paint to adhere to non-porous surfaces such as plastic or glass. Angelus 2-Hard promotes adhesion and film hardness.